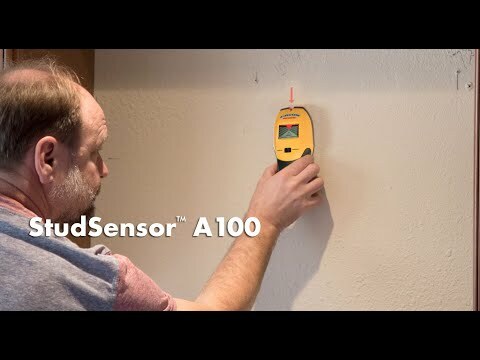 StudSensor ™ A100 is an edge locating stud finder. Select from two scanning modes to find the edges of wood and metal studs and joists up to 38 mm deep. Equipped with WireWarning® Detection, the A100 alerts you to live unshielded electrical wiring when scanning in both StudScan and DeepScan® Modes. The SpotLite® Pointer, LCD screen, and audio tone indicate the location of the stud edge.